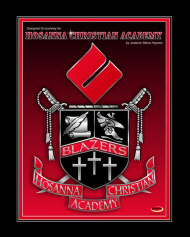 First established in 1979, Hosanna Christian Academy is a pre-K through 8th Grade Christian education institution that, in addition to regular course offerings, unashamedly teaches the Biblical concepts of discipline, respect for those in authority, obedience to law, and love for flag and country. The teachers of Hosanna Christian Academy, known as HCA, realize the solemn responsibility before God in molding the life and character of each of their students in order to equip them for the future. HCA’s Mission Statement: We are Hosanna. We seek spiritual, academic, and athletic excellence. We seek creative ways to serve our community. ����We seek to glorify God with excellence in everything we do. We are Hosanna! Our GOAL and PURPOSE is to EDUCATE . . .
Spiritually – A child needs to realize there is a center to all life. God’s truth is THE TRUTH. It is central to all of learning and all of living. Hosanna Christian Academy seeks to meet the child’s spiritual needs by consistently focusing on the person of Jesus Christ. The teaching of God’s word and prayer are an important part of our program. Academically – A child has a God-given, compulsive desire to learn. He wants to know the “what and why” of everything. His or her instruction is often the difference between effective learning and frustrated defeat. We know that careful planning is necessary for well-balanced, academic excellence. We strive to incorporate the Bible’s teachings in all subject areas.